The picture tweeted by the official Mets Twitter account. Long time Mets broadcaster and Hall of Fame outfielder Ralph Kiner has passed away at the age of 91 due to natural causes. 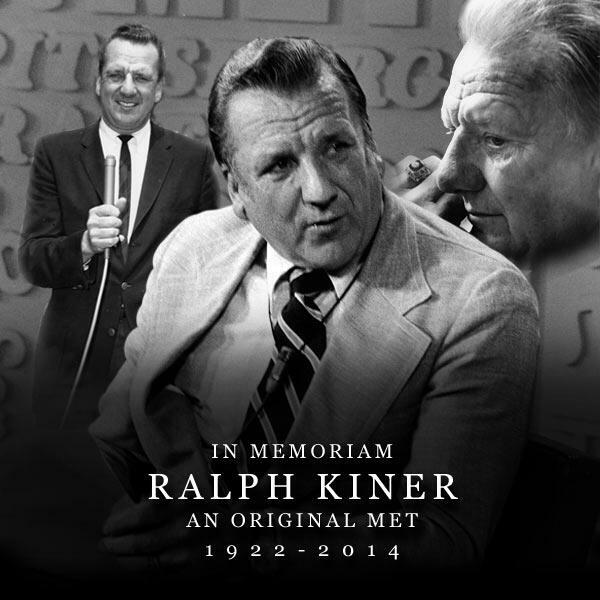 “Ralph Kiner was one of the most beloved people in Mets history — an original Met and extraordinary gentleman. After a Hall of Fame playing career, Ralph became a treasured broadcasting icon for more than half a century. His knowledge of the game, wit and charm entertained generations of Mets fans. There are no words I can put together to pay proper tribute to the man. He was the voice of my summers growing up, along with Bob Murphy. When I heard their voices in March, I knew baseball was back. He taught me the basics of how to play the game, and opened my eyes to the techniques of hitting that I’d never considered before. He also taught me about the history of the game. I learned of the likes of 3 Finger Mordecai Brown, Heinie Manush, and other colorful characters from the past (or at least the ones with colorful names), and got an idea of what baseball was like long before there was such a thing as Shea Stadium or the Mets. When I worked for WWOR, the Mets production staff always had good things to say about Ralph. They saw him as a genuine, warm, and kind individual. They weren’t just saying that – believe me, they didn’t always have the same things to say about other broadcasters who passed through the booth. He was one of the premier power hitters of his time when he played with the Pirates. Like most players from his generation, he served in WWII as a pilot, and oh yeah, he also dated Elizabeth Taylor. The Mets community and major league baseball lost a great one today. Thanks for everything you did, Ralph. Feel free to post your thoughts in the comment section (as always). I love stats. I’ve been a baseball stathead since I was a kid. I kept track of my own batting average in Little League as well as walks, extra base hits (those were easy – there weren’t many of them), and RBIs. I used to check the box scores in The Record every morning to see what the Mets’ updated stats looked like after the previous night’s game (Unless the game was on the west coast – ahhh, the dark ages), and I’ve continued that habit into the present day. Over the past 10 years or so, I’ve been familiarizing myself with sabermetrics. I like them. I find them useful. Especially the ones I can understand. Advanced metrics have given me a whole new perspective on the careers of baseball players today, and a renewed appreciation of players from the past. The one relatively new development I haven’t gotten on board with is the concept of statistical projections. Until recently, it wasn’t certain investors weren’t going to insist the team owners pay down some of the loan to get the refinancing done. Wilpon and Katz will not be asked for any cash paydown, sources said. Plus, interest payments are expected to stay about the same, a source with direct knowledge of the situation said. The Mets spent about $87 million on free agents this offseason – a marked jump in spending from the past few years, in particular last offseason, when they spent only $5 million. Perhaps optimism about this re-fi was part of the reason the Wilpons felt comfortable loosening their wallets this winter. They’re still not spending with the big boys – and no one is going to outspend the Yankees, whether you play in New York or not – but the point is to have the financial flexibility to make the moves you have to make, rather than settling on a team full of minor league contracts with invites to Spring Training. 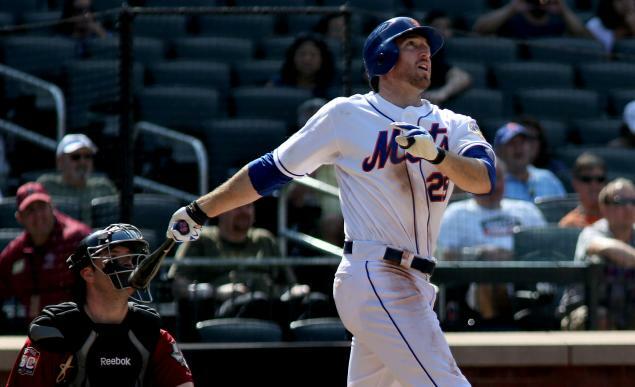 I doubt this news will inspire any more huge transactions this offseason – Stephen Drew is still in play, but the Mets seem to be treating him as a nice-to-have, not a must-have. As much as I’ve been critical of the Wilpons, they are at least making an active effort to get out from under the debt left to them by Bernie Madoff. I hope the next time Fred Wilpon says his financial troubles are over, like he did last year, that it’s really the truth. Why is Stephen Drew Still Available? Stephen Drew is still available. Heading into the the 2013-2014 offseason, the two most sought-after free agent shortstops appeared to be Jhonny Peralta and Stephen Drew. Either player seemed a good match for any team (including the Mets) who looked to add a shortstop.